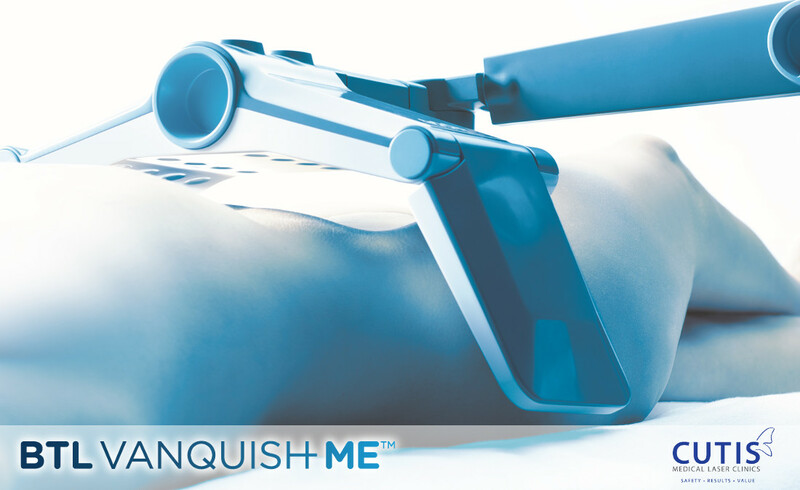 Home / Body / Fat Reduction via Vanquish ME’s Fat Melting Technology: Is it Effective? While liposuction is effective in removing fat in different areas of the body, not everyone is willing to go under the knife. This is mainly because a surgical procedure is invasive and leaves a trauma in the treated area. It also has a higher cost with greater risk of complications than non-invasive fat reduction procedures. The consequences associated with liposuction are probably one of the reasons why non-surgical fat reduction treatments are gaining popularity. These methods do not require cuts or incisions and usually come with minimal to no downtime. Vanquish ME fat reduction is one of these safe and effective treatments. It uses the power of heat through selective radiofrequency (RF) in targeting and melting fat cells. It can contour or sculpt your body without affecting the surrounding muscles or skin. Vanquish is ideal for losing inches off your arms, flanks, and thighs without going under the knife. Continue reading to learn more about melting your fat and why is it effective. Vanquish ME in Singapore works by disrupting fat cells using FDA-cleared selective heating. This leads to fat cell shrinkage and elimination in the treated area. The heated fat cells will undergo apoptosis or natural cell death, and will then be naturally cleared through the lymphatic system and processed as waste in the liver over time. The effectiveness of Vanquish is attributed to the science of ‘impedance’, which refers to the higher resistance of fat cells to absorbed heat. This means that the fat cells can absorb more heat energy, which helps in eliminating fat cells or triggering natural cell death. What makes Vanquish ME unique? The best thing about Vanquish is that it can help you get rid of belly fat and other unwanted fats without coming into direct contact with the skin. The device just hovers the targeted area using a panel array of heat energy. Both men and women can turn to Vanquish for getting rid of fats that are resistant to diet and exercise. It is ideal for targeting love handles, saddlebags, fats in the inner and outer thighs, as well as circumferential reduction of the abdomen. Vanquish is also safe for all skin colors doesn’t require a specific BMI, making almost everyone a good candidate for the procedure. Get in touch with an aesthetic doctor in Singapore to determine if you’re the right candidate for fat melting. While Vanquish uses heat to melt fat away, the most patient reported that the treatment is tolerable. It is normal for the treated area to feel warm, with a sensation that is similar to that of a heating pad. The warming sensation may last for a few hours after the treatment. Vanquish is also performed while you’re lying down, so you can relax throughout the treatment. The number of Vanquish treatment you’ll need will depend on your areas of concern. Based on clinical studies, at least six to eight sessions of Vanquish done once a weekly showed visible results. A consultation with an experienced aesthetic doctor in Singapore will help you determine the number of sessions you’ll need based on your goals, along with what you can expect during and after the procedure. Is there downtime or recovery needed? Vanquish is nonsurgical and contactless, which means that there is no recovery or downtime required. You can also choose to schedule your session during your lunch break and go back to your routine normal routines after the procedure. Is it the same as CoolSculpting? Both Vanquish and CoolSculpting are effective fat reduction devices, but they are not the same. CoolSculpting (and Z Lipo) uses Cryolipolysis or fat freezing technology to freeze and kill fat cells. Also, Vanquish contours the body without touching your skin. This is not how it goes with CoolSculpting, as it involves the use of a vacuum pressure to draw out the fat tissue between the cooling panels. Read more about the difference between Vanquish and CoolSculpting. So, is it effective? How long will I have to wait to see results? When it comes to fat reduction and clinical studies, Vanquish is proven effective. Just do take note that the results vary from patient to patient. Some may see results in as early as three weeks (the time when the body starts to get rid of the heated fat cells naturally), but optimal results can be seen after a 60 to 90-day window. It’s also good to know that the treated fat cells will not regenerate and are gone for good. However, your diet and lifestyle can affect the results over time. The reason is although eliminated from the body, the remaining fat cells can grow if not properly maintained. This will cause the area not to reduce in size. This is why maintaining a healthy diet and lifestyle can help keep the effects of the treatment. When you have been working out too hard and cutting calories but see little to no results, it may be the time to consider Vanquish in Singapore. Contact Cutis Laser Clinics today and schedule a consultation with our Harvard-trained aesthetic doctor, Dr. Sylvia Ramirez, find out if the procedure is right for you.